Sustainable development is as if people and the planet mattered more than profit. Every company, non-profit organisation, NGO, foundation, civil society organisation, government department, and academic institution can promote one or several of the 17 Sustainable Development Goals. 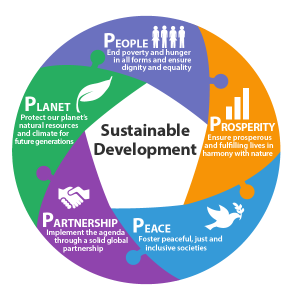 Intandem can run your Social Change or Sustainable Development project for you or accompany your organisation’ on your journey. For these projects to succeed a mindset of caring, sharing and sustainability must come from within each and every one of us. Combined with an ecological, spiritual and social dimension, where compassion and cooperation are valued. Through the raising of individual awareness, appreciation and kindness, to your teams higher purpose, through quality collaboration, and taking responsibility for impact your organisations social impact and sustainable development project(s) can be achieved.